Pride, gluttony, envy, greed, anger, sloth, lust—it‘s not enough to say “no“ to sin. 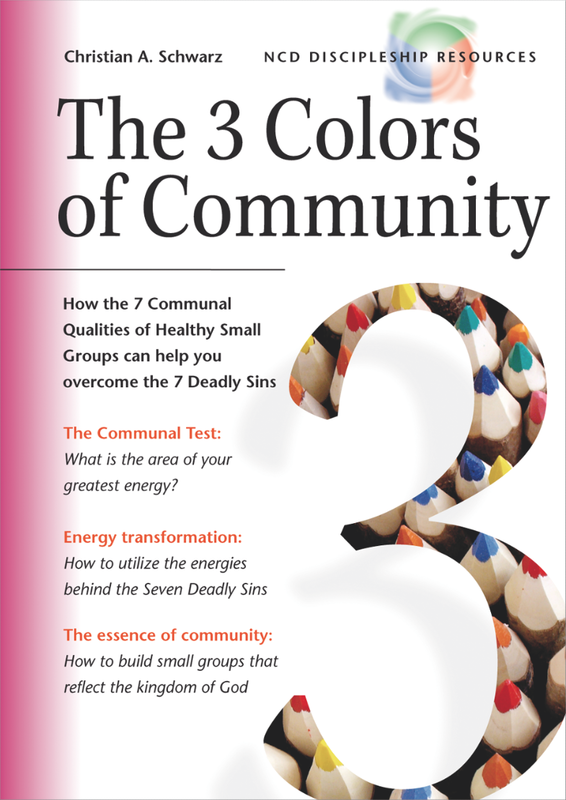 The 3 Colors of Community presents an altogether new way of approaching small groups. Rather than being preoccupied with the technical aspects of small group ministry, the book focuses on the qualities that are fundamental for any sort of Christian community, be it a family, a prayer meeting, a Bible study group, a task force, or a choir. Based on comprehensive research, The 3 Colors of Community portrays seven qualities that all healthy communities have in common. Applying these principles not only generates enthusiastic responses from the participants, but also sustainable effects in their lives. What is the area of your greatest energy? Below, you will find downloadable versions of The 3 Colors of Community Reading Guide and Discussion Guide. Click here for information on bulk discounts and purchasing The 3 Colors of Community book. In this section, you will find answers to frequently asked questions referred to in The 3 Colors of Community. To find the answer you are looking for, select the page number to the left that relates to the respective page number in the book. Why doesn‘t NCD feature one specific small group model? 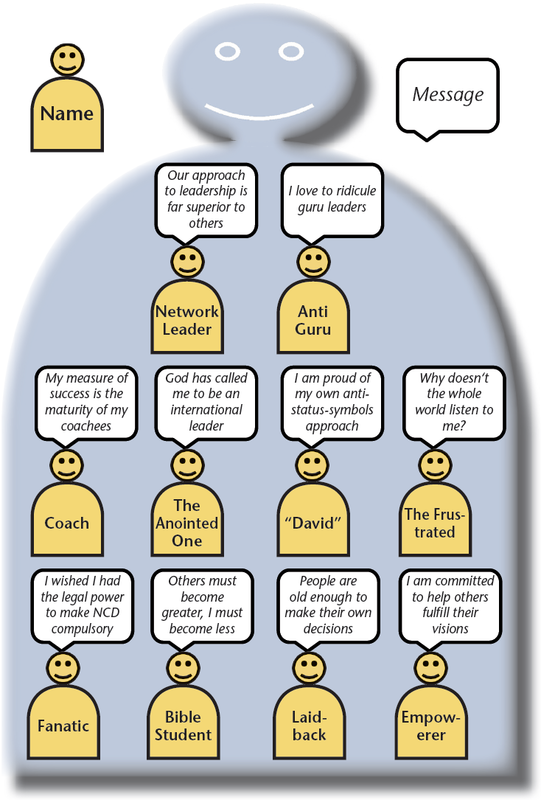 In all areas of church life, NCD focuses on universally applicable principles, rather than featuring one specific model. In order to identify the principles, insights from a wide spectrum of models are carefully evaluated. Many churches that are involved with NCD follow a specific small group model because it perfectly fits their needs and their purposes. The approach presented in The 3 Colors of Community is not meant to be an alternative to existing small group models, but rather to be combined with any kind of small group model. It has been designed deliberately for that purpose. 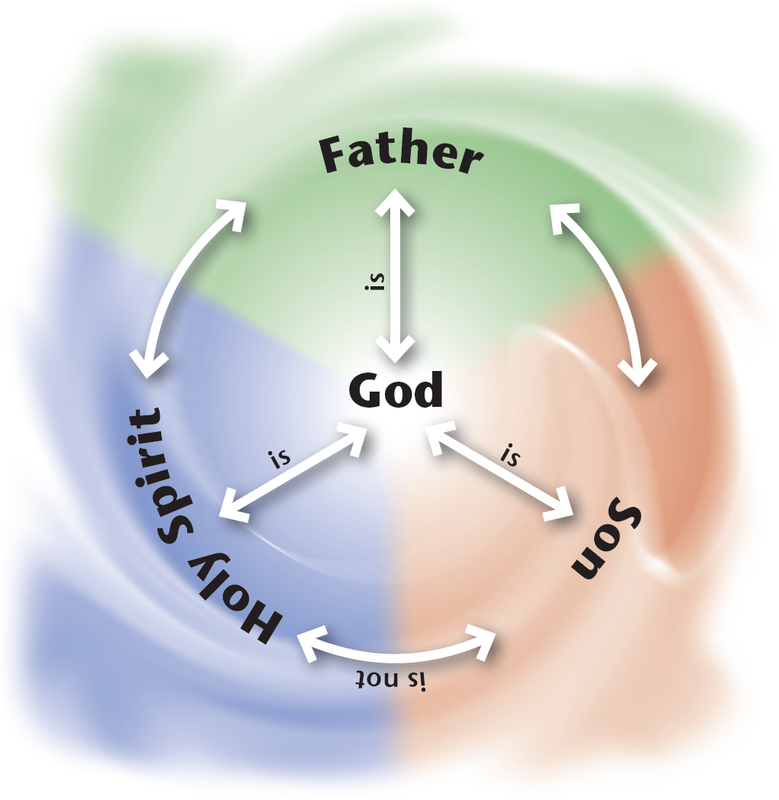 Why do all NCD Discipleship Resources start with the Trinitarian Compass? Every book (that focuses on our human change needs) starts with an explicitly theological perspective, which either directly or indirectly relates the topic under consideration with the triune God. 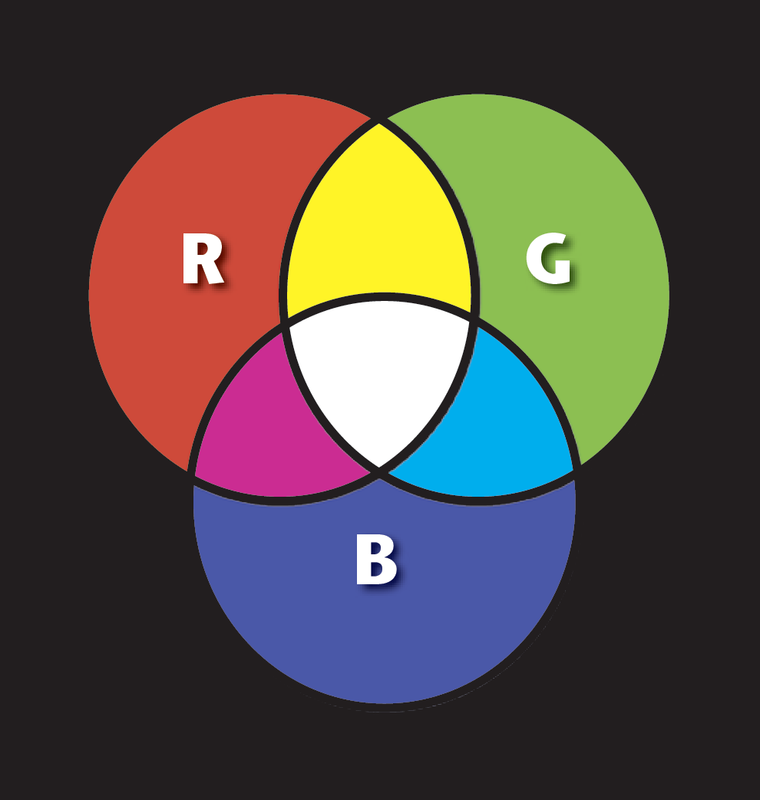 The three colors of the Trinitarian Compass guarantee that the topic under consideration is approached in a balanced way (as opposed to only featuring the values of one color segment). 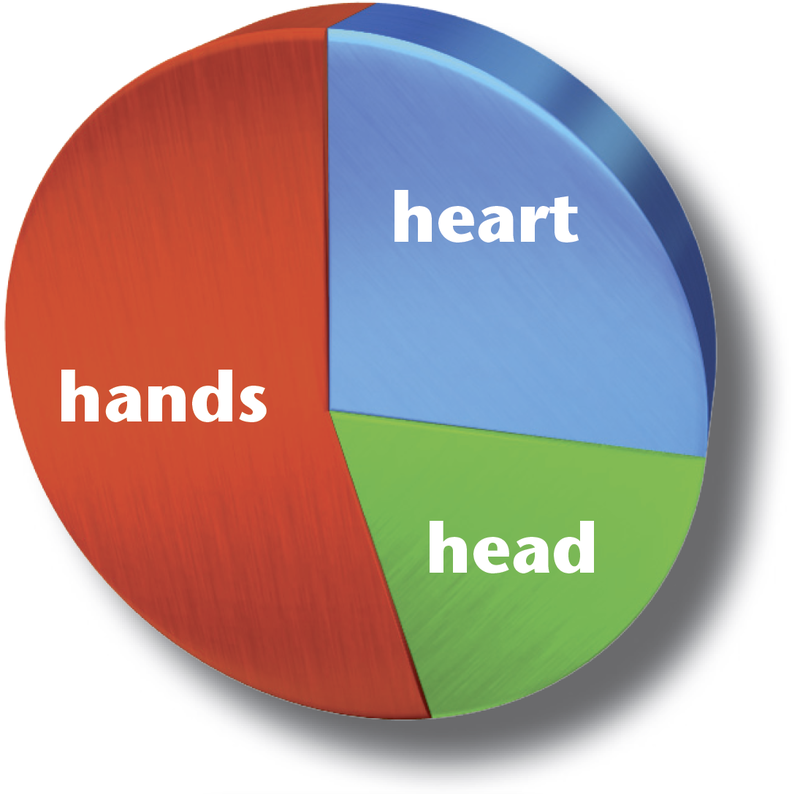 The more readers of the NCD Discipleship Resources become familiar with the dynamics of the Trinitarian Compass, the more they will be able to apply these dynamics to other topics. Such training has a strong affinity to increasing spiritual maturity. What kind of research has NCD International done on small groups? The data from 65,000 churches worldwide that have done one or more NCD Surveys. 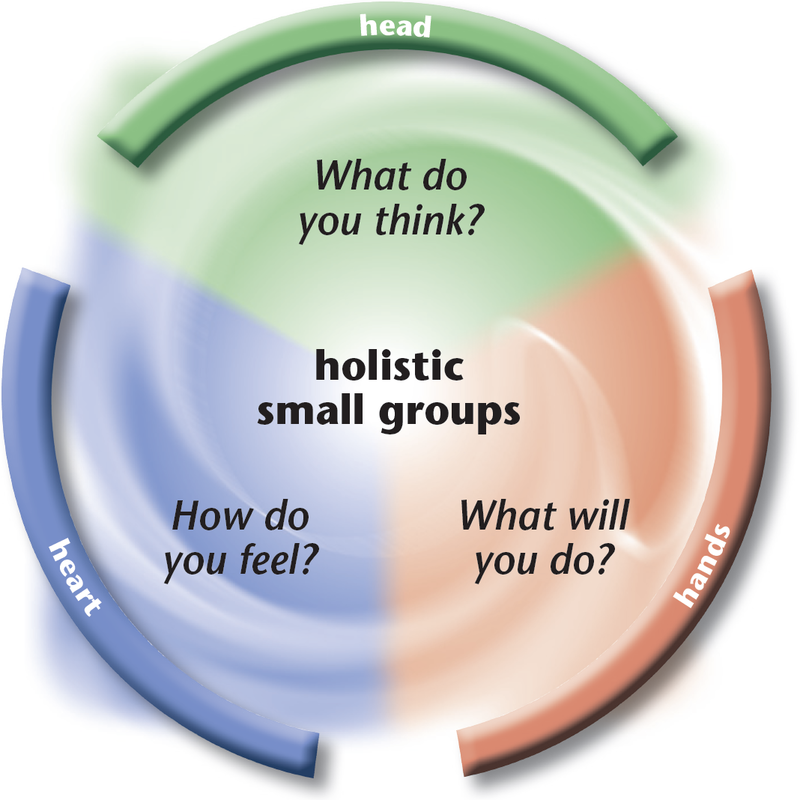 Since one of the eight quality characteristics tested in the Survey is “holistic small groups,” many inter-cultural insights from churches with different small group models came to light. 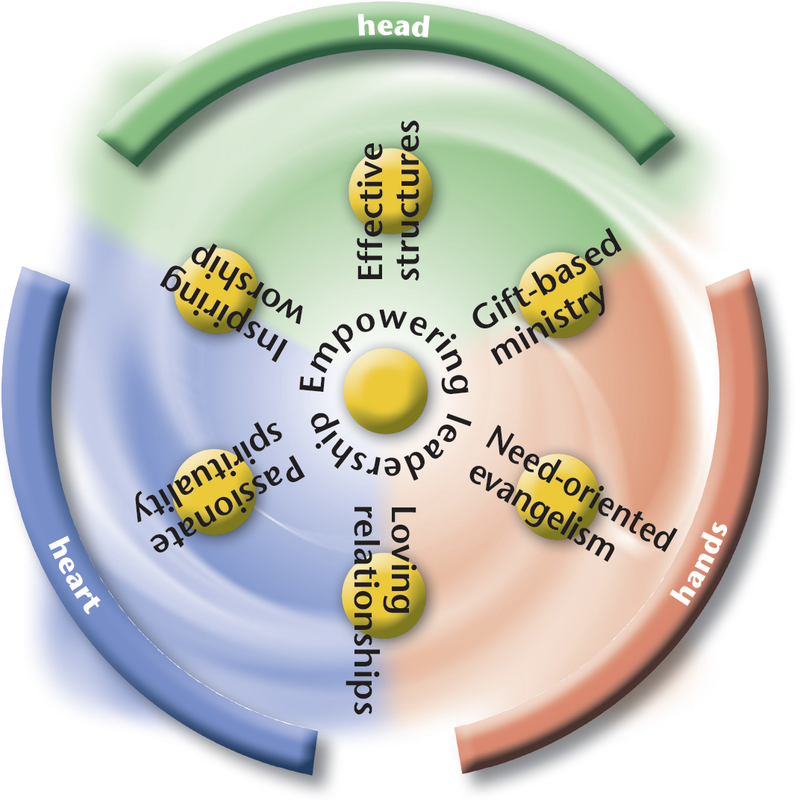 Research on the seven energies among 88 denominations in 38 countries. This gives the Communal Test a solid intercultural basis. Personal debriefing interviews on the results of the Communal Test with a sample of some 100 participants from different countries. 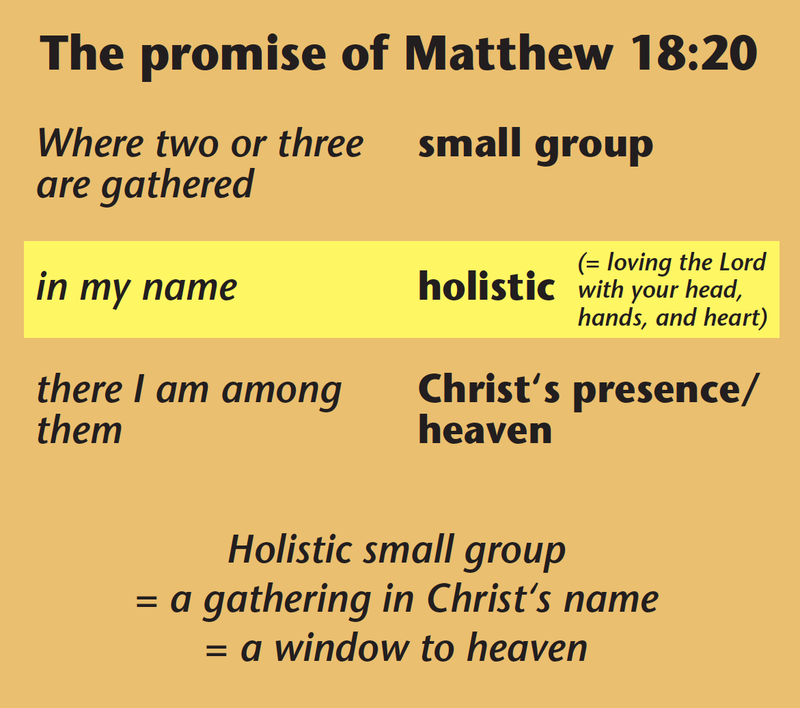 Why are the quality characteristics of healthy churches and small groups almost identical? 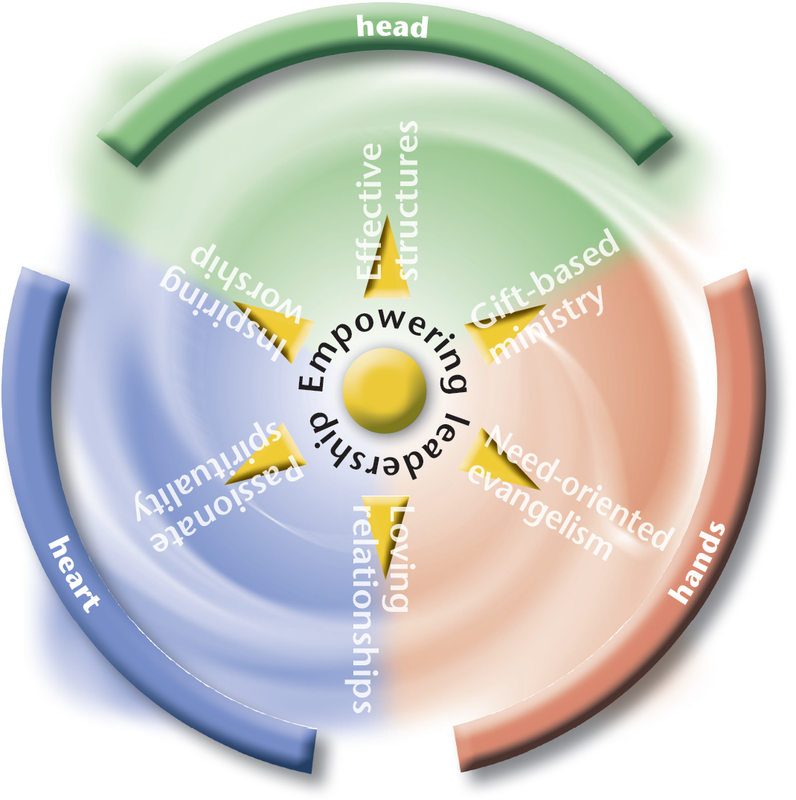 This can be explained by the fact that a small group (as long as it is holistic) is nothing other than a “church in miniature.” Individual “quality characteristics” may manifest themselves differently on a small group level than on the level of a whole church, but the principles are the same. 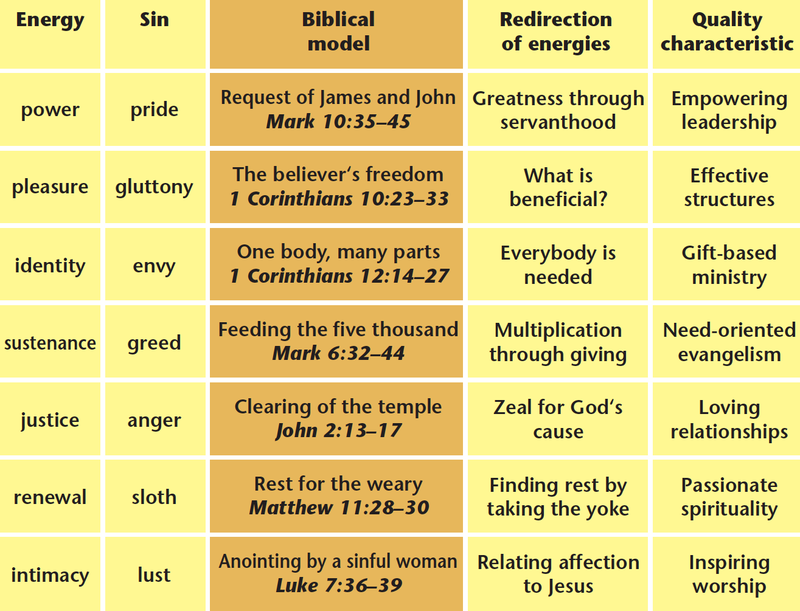 What are the most important definitions of sin? Sin as disobedience toward God, i.e. a breach of the standards revealed in Scripture, which impacts one’s relationship to God. Sin as harming other people, i.e. undermining one’s relationship with others. Sin as self-destructive patterns of behavior, i.e. destroying one’s relationship to self and undermining personal happiness. 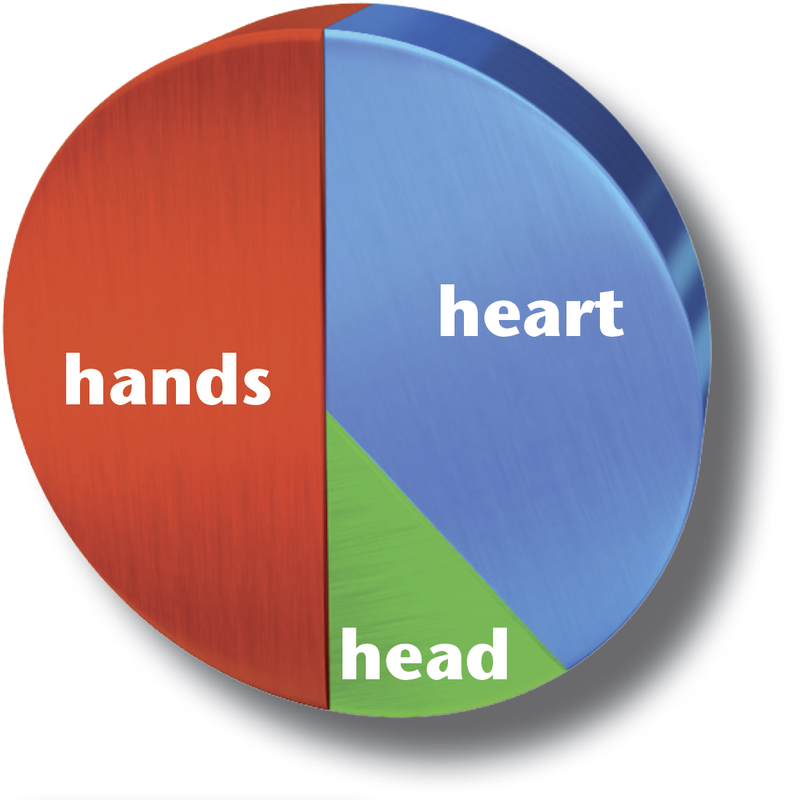 The 3 Colors of Community strives to address all three aspects. Since Jesus has died for our sins, why does it still play such an oppressive role in Christianity? Jesus’ redemptive death on the cross—and the forgiveness of our sins that derives from it—is the foundation of all biblical attempts to deal with the reality of sin. 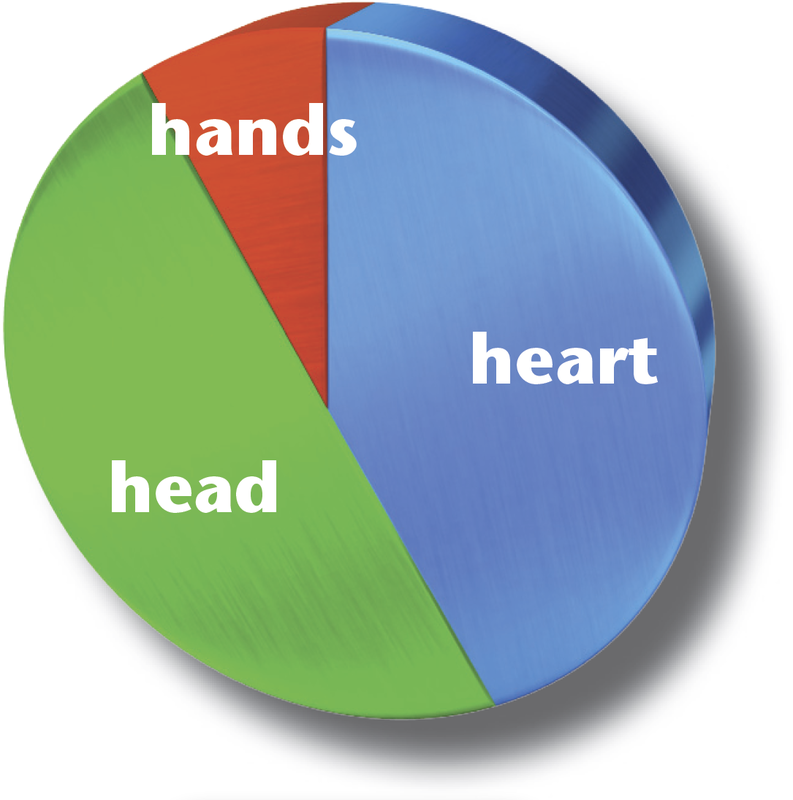 The teachings of The 3 Colors of Community are based on that foundation. Our life-long challenge as Christians is to draw the practical consequences out of the fact that our sins are forgiven and that the Holy Spirit dwells in us, by increasingly growing in holiness. The 3 Colors of Community has been developed to show how this can happen practically. Many of the traditional ways of addressing the reality of sin (all of them tending either toward the path of denial or the path of compromise) have basically failed. None of them has managed to use the existing energies within us for kingdom-building purposes. 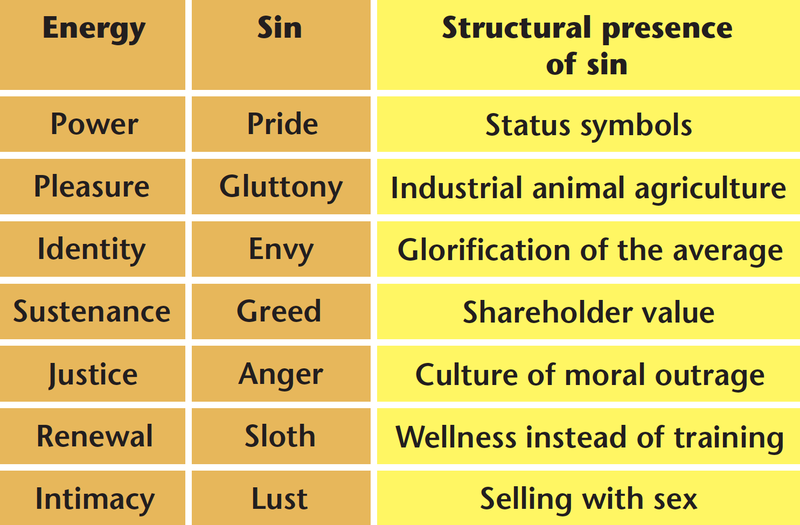 Why and how was the original list of the Seven Deadly Sins changed throughout church history? The original list (Evagrius) was designed to help the monks who were living an ascetic life in the Egyptian desert to understand and overcome impure thoughts. These attempts were strongly shaped by the pastoral and psychological concerns that are typical of the Eastern tradition. 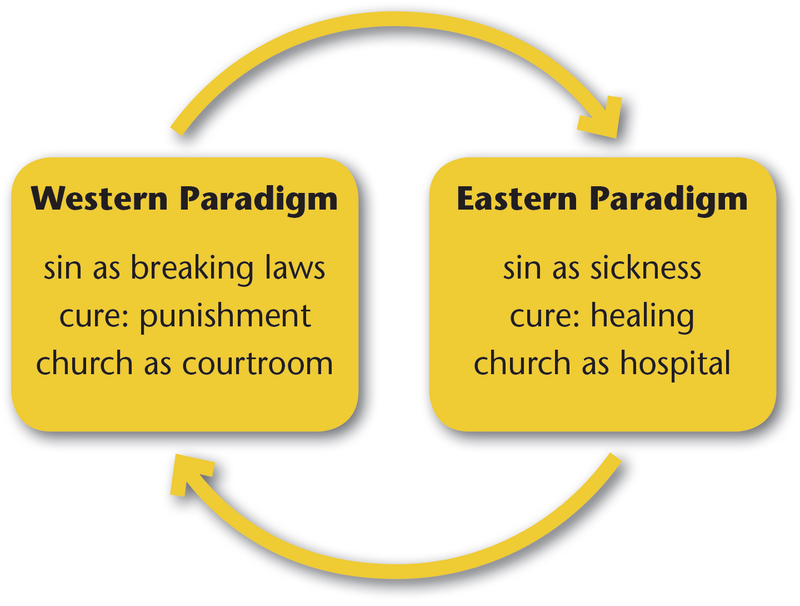 The main purpose for the changes made by Evagrius’ student, John Cassian, was a “Westernization” of the original idea. As a result, the emphasis shifted from psychological to moral categories. This was also characteristic of the list provided by Gregory the Great. The main interest behind Thomas Aquinas’ classification was systematic theological reflection. 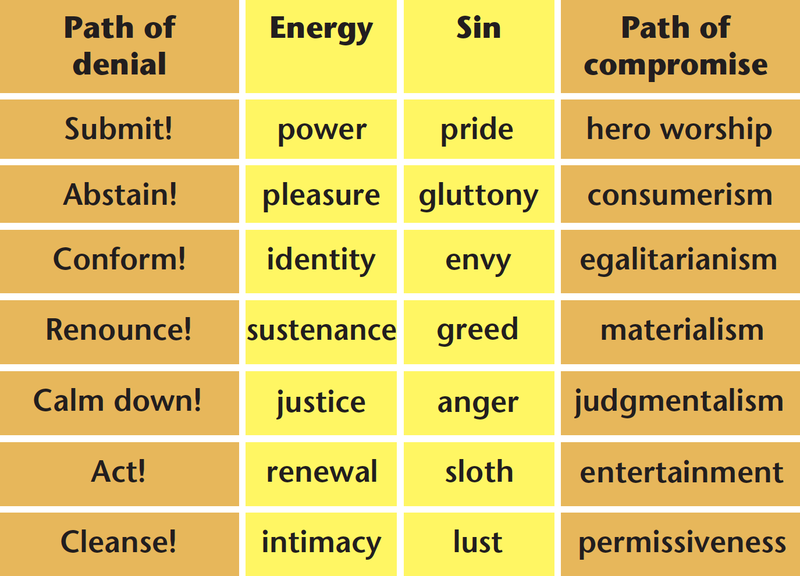 As a result, the teaching on the Seven Deadly Sins became more and more encompassing and also increasingly abstract. The main interest of the contemporary teachings on the Seven Deadly Sins (which, in most cases, have taken over Gregory the Great’s list) is again a pastoral concern that was characteristic of Evagrius’ original teaching. Between Evagrius (345-399) and Gregory (540-604) both the number of sins listed as “deadly” and the terminology used, was constantly changing. After Gregory, the list has experienced very few changes, since it has been largely seen as a wise and well-reflected approach. The major modifications after Gregory have basically been concerned with how each individual sin—and the Seven as a whole—are understood. What exactly does the term “deadly” imply in this context? 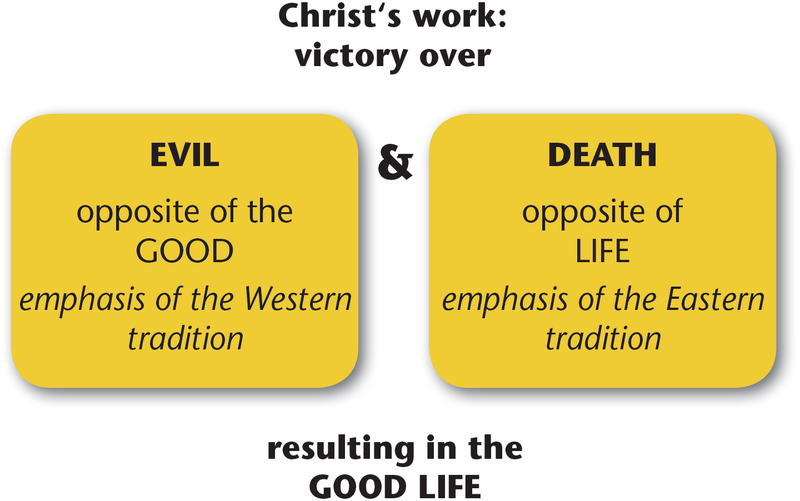 In the Roman-Catholic tradition, in particular, there is a distinction between “mortal sins” (which result in a complete separation from God and eternal damnation in hell) and “venial sins” (which indicate a “partial loss of grace” and can be forgiven). The concept of “mortal sin” is sometimes referred to as “deadly sin” as well. It is important, however, not to confuse these two concepts. A Deadly Sin can be either venial or mortal. How can a Western church learn from the Eastern tradition without changing its denominational identity? The most important aspects of the Eastern tradition are central biblical concerns that are already present in Western churches but, in many cases, are simply underdeveloped. If, say, a Baptist or a Pentecostal or an Episcopalian church were to strengthen those elements, it would become a more effective Baptist or Pentecostal or Episcopalian church. This would attract more people who would join the Baptist or Pentecostal or Episcopalian traditions. The fear that this kind of intercultural and inter-denominational learning will weaken the denominational identity is unjustified. The exact opposite holds true. Following this path, denominations actually become more healthy and because of that, stronger. What are the implications of the so-called “schism” of 1054, especially for Protestant churches? In essence, the “schism” of 1054 has contributed to what could be labeled “amputated” forms of Christianity. The major problem is not that certain groups of churches form different legal entities, but that—especially between Eastern and Western churches—mutual learning has stopped. It would be misleading to approach the separation of the Western and Eastern streams of Christianity in 1054 in analogy to the 16th century Reformation. Each “split” represents something altogether different. 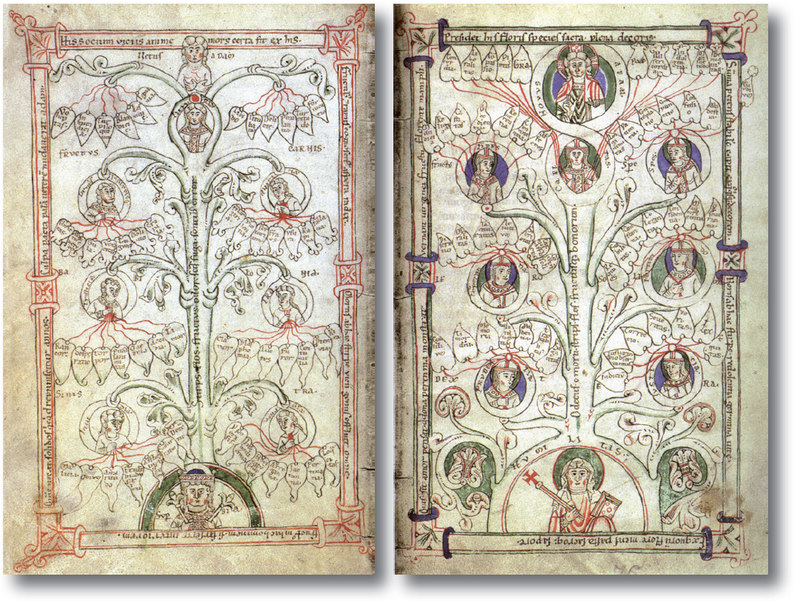 Western and Eastern traditions in the early church were, from the beginning, different traditions with different foci, which together made up biblical Christianity in its full sense. Without a doubt, it can be helpful for a Western church (say, a Lutheran church), to learn from another church in the Western tradition (say, an Anglican church). However, this kind of learning is optional, not mandatory. In contrast, no Western church can afford to ignore the basic insights of the Eastern tradition (and the other way around), since only the combination of the two streams represents biblical Christianity. For a Lutheran church, for instance, the insights of the Anglican Church (even if it could be beneficial to learn from them) are not a part of their own tradition. But the insights of the Eastern stream of Christianity are part of the tradition of every Western church (and vice versa). In most cases, these insights have been neglected or have gotten completely lost throughout the course of history. In other words, ignoring the insights of the Eastern Church alienates a Western church from its own, deepest roots—the source of many of the problems we face today. What is the biblical foundation of the energies described in this book? The concept of “energies” is, in fact, a central biblical category. But since the New Testament terms (such as energeia, energema, energes, energeo) are usually not translated “energy” (or one of its derivatives) in English Bibles, most Christians are simply not aware of that fact. As a result, teaching on energies has been neglected in Christianity. A key passage on the essence of energies is 1 Corinthians 12:4-6, which first speaks about different “gifts” (charismata) and “services” (diakonia), and then adds, as a third element, “There are different kinds of working (energemata), but the same God works all of them in all men.” While there is a lot of teaching on gifts (charismata) and services (diakonia), the teaching on the results of the energies (energemata) has been grossly neglected. Is it good or bad to have high energy in a given area? 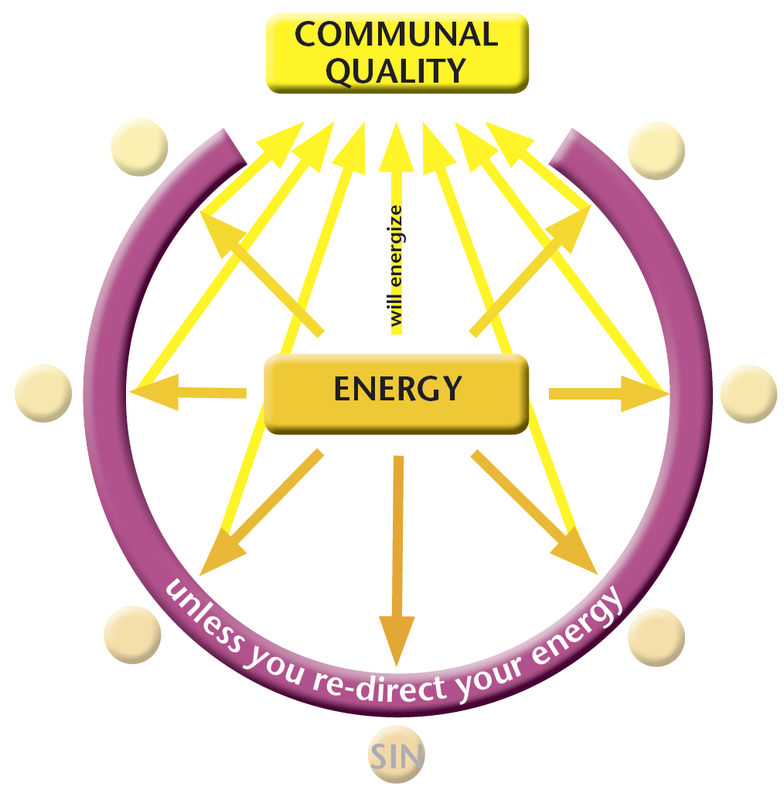 The higher one’s energy is in a given area, the greater his or her potential to contribute to the corresponding Communal Quality. At the same time, it also increases his or her vulnerability toward the respective deadly sin. In other words, there are both opportunities and dangers inherent in a high level of energy. For that reason, the terms “good” or “bad” can be misleading, as they imply that it is at our disposal whether or not we have high energy in a given area. But it is not. 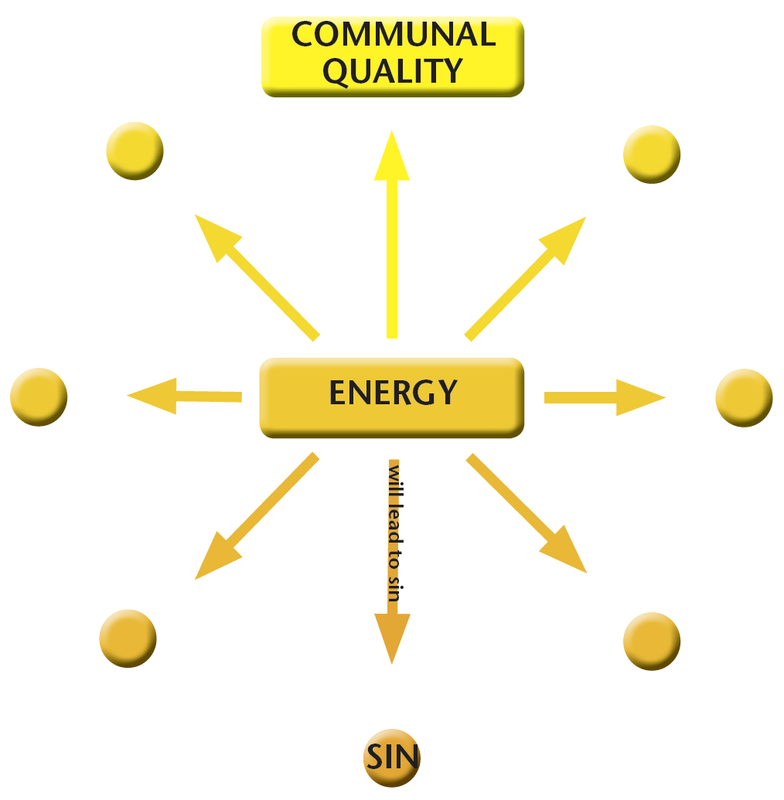 Any energy level is “good.” Our task is to make the best use of it, by investing it into the respective Communal Quality. 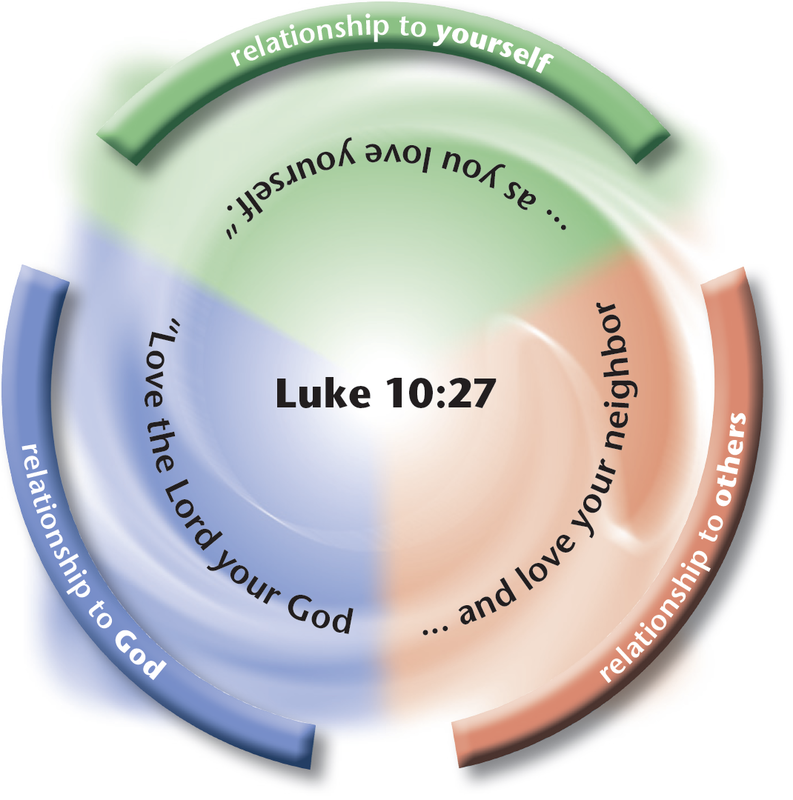 What is the relationship between Jesus‘ forgiveness and our active pursuit of holiness? Jesus’ forgiveness is the foundation for our work on holiness; it is not a substitute for it. If we neglect the fact of Jesus’ forgiveness in our pursuit of holiness, we end up in legalism. If we neglect the challenge to proactively combat sin, we misuse the work of Christ to justify our old sinful lives. Both are dangerous aberrances from the biblical message. Which is closer to biblical teaching, the path of denial or the path of compromise? Both paths are deviations from the biblical message. Superficially, it may appear that the path of denial is closer to biblical truth, as it at least doesn’t deny the relevance of the biblical standards for our time. However, when we study the practical consequences of this approach, which usually manifest themselves in suppressing or hiding sin rather than overcoming it, it is obvious that the path of denial is as far from biblical teaching as the path of compromise. Isn‘t it obvious that the world is getting more and more sinful? Why or why not? While certain expressions of sin may in fact have increased over time (fueled by an entertainment industry with its corresponding consumer mentality), in other areas we may detect improvements in societal development (for instance, a decreasing tendency to delegate one’s own moral responsibility to others, such as the leaders, the state, or the church). 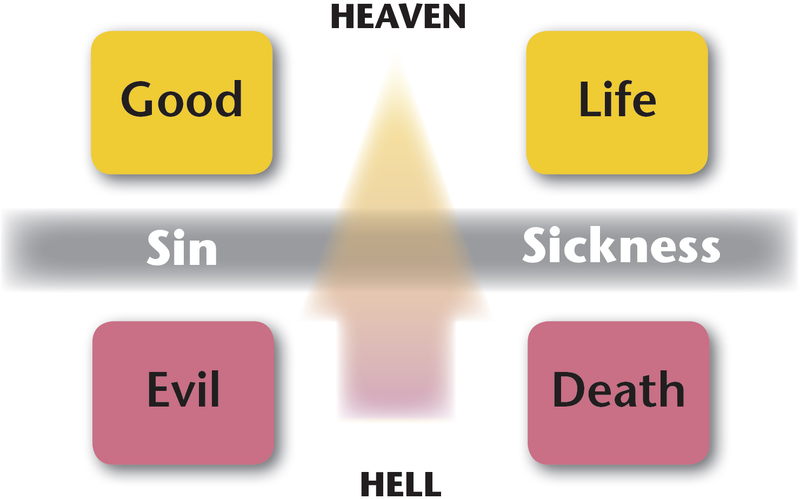 However, the bottom line is that sin is a universal phenomenon that may express itself differently in different periods of time, but both the quantity and quality of sin does not change. In Biblical times people were as sinful as in the Middle Ages, the Victorian era, and our time. When it comes to seekers, isn’t it legitimate to treat them as consumers? In fact, treating seekers as “consumers” is a way of not taking them seriously. We certainly should not treat seekers as mature believers, but we shouldn’t downgrade them to mere consumers either. They are human beings created in the image of God, full of potential to receive and to contribute. They deserve to have an encounter that will stimulate them to grow, including stimulation that may lead them outside of their comfort zone. It is striking to note that many churches that see and treat seekers as consumers, tend to see and treat their members as consumers as well. Aren't there areas in which it is justifiable and healthy to show pride? In everyday language, the word pride is often used as a synonym for either having a healthy self-esteem (for instance, “Black Pride”) or being thankful for something (“I am proud of my family”). 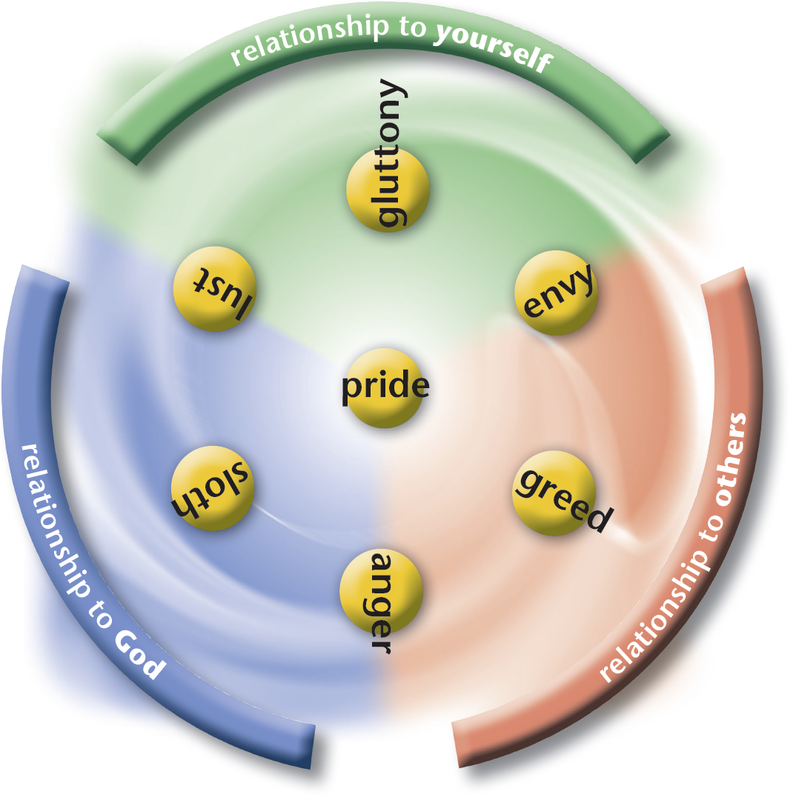 However, in the sense of the Seven Deadly Sins, these are not expressions of pride. Why doesn‘t it work to counteract pride by focusing on the opposing virtue, humility? People who are proud simply don’t have ears to hear the message of humility. If they had developed the sensitivity to hear this message, they would be less likely to be proud. For proud people, the attempt to proactively invest in the development of humility requires enormous energy. Proud people perceive humility as an “avoidance goal” (“moving away from something”) rather than an “approaching goal” (“moving toward something desirable”). Avoidance goals can work for a limited time in less significant areas of our lives, but they don’t work in the area of deep-reaching attitude or behavioral change. Humility is a positive trait, but in and of itself, it doesn’t harness the energy behind pride, which is the need to express power. However, this energy can be expressed through empowering leadership. A natural side-effect of investing in empowering other people will be the development of authentic humility. What are some practical examples of the connection between pleasure and effective structures? Each of the deadly sins—and especially gluttony—can provide short-term pleasure, which destroys all pleasure in the long run. The basic goal of effective structures is to take a long-term approach to pleasure. Short-term “sacrifice” can, indeed, be a way of experiencing even more pleasure in the long run. Effective structures enable a healthy rhythm between fasting and feasting. Permanent feasting would undermine any pleasure, while times of fasting enable even more pleasure. Why doesn‘t it work to counteract gluttony by focusing on the opposing virtue, abstinence? Gluttons simply don’t have ears to hear the message of abstinence. For them it doesn’t sound at all like a way to experience pleasure. If they had developed the sensitivity to hear this message, they would be less likely to be gluttons. For gluttons, the attempt to switch to abstinence requires enormous energy. Gluttons perceive abstinence as an “avoidance goal” (“moving away from something”) rather than an “approaching goal” (“moving toward something desirable”). Avoidance goals can work for a limited time in less significant areas of our lives, but they don’t work in the area of deep-reaching attitude or behavioral change. The ability to practice abstinence is a positive trait, but in and of itself, it doesn’t harness the energy behind gluttony, which is the desire for pleasure. However, this energy can be expressed through effective structures, by allowing the pendulum of fasting and feasting to swing. Are there cultures that are more prone to envy than others? Which ones? Why? In fact, there are cultures that are more prone to envy. In general, European societies (especially Germany and Scandinavia) seem to be more vulnerable to envy than, say, North American societies. Movements that strive to utilize envy for their purposes have a better chance of survival in European societies than in America. However, this difference indicates merely a slightly stronger (or weaker) tendency; every culture, without exception, has to struggle with the sin of envy. Why doesn‘t it work to counteract envy by focusing on the opposing virtue, kindness? People who are envious simply don’t have ears to hear the message of kindness. If they had developed a sensitivity to hear this message, they would be less likely to be envious. For envious people, the attempt to proactively invest in treating those they envy kindly, requires enormous energy. Envious people perceive kindness as an “avoidance goal” (“moving away from something”) rather than an “approaching goal” (“moving toward something desirable”). Avoidance goals can work for a limited time in less significant areas of our lives, but they don’t work in the area of deep-reaching attitude or behavioral change. Kindness is a positive trait, but in and of itself, it doesn’t harness the energy behind envy—striving for identity. Through gift-based ministry, however, this energy can be expressed and harnessed. 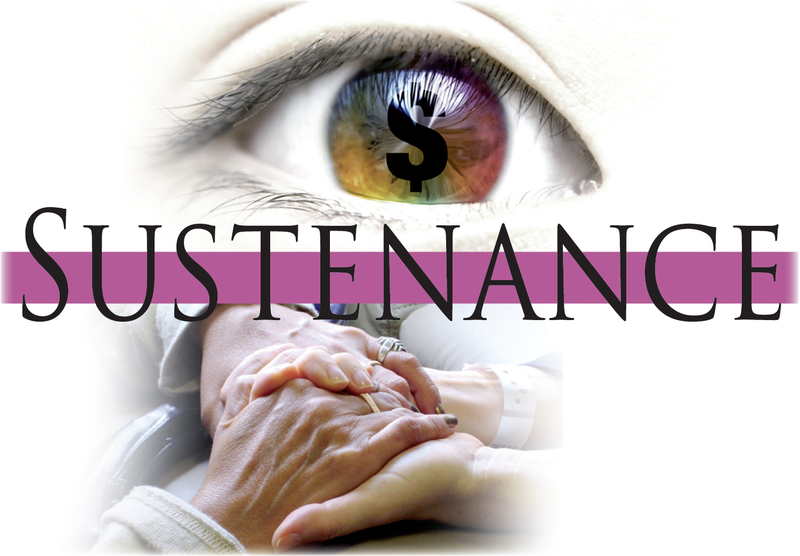 A natural side-effect of investing in living according to one’s own gifts and helping others to do the same, will be the development of genuine kindness. Isn’t “greed,” as referred to in this chapter, the motor of capitalism? It clearly is. Some authors draw out of this observation the conclusion, “Greed should not be regarded as a sin.” However, especially in the light of Scripture, the opposite conclusion makes much more sense, “Some expressions of capitalism must be changed.” It can be easily shown that nearly all of the major problems that are produced by capitalism are directly or indirectly related to greed. Every society needs a high enough percentage of people whose economic decisions aren’t driven by greed. Why doesn‘t it work to counteract greed by focusing on the opposing virtue, voluntary poverty? People who are greedy simply don’t have ears to hear the message of voluntary poverty. It doesn’t make any sense to them. If they had developed the sensitivity to hear this message, they would be less likely to be greedy. For greedy people, the attempt to switch to voluntary poverty requires enormous energy. Greedy people perceive voluntary poverty as an “avoidance goal” (“moving away from something”) rather than an “approaching goal” (“moving toward something desirable”). Avoidance goals can work for a limited time in less significant areas of our lives, but they don’t work in the area of deep-reaching attitude or behavioral change. The ability to live in voluntary poverty is a positive trait, but in and of itself, it doesn’t harness the energy behind greed, which is the need for sustenance. 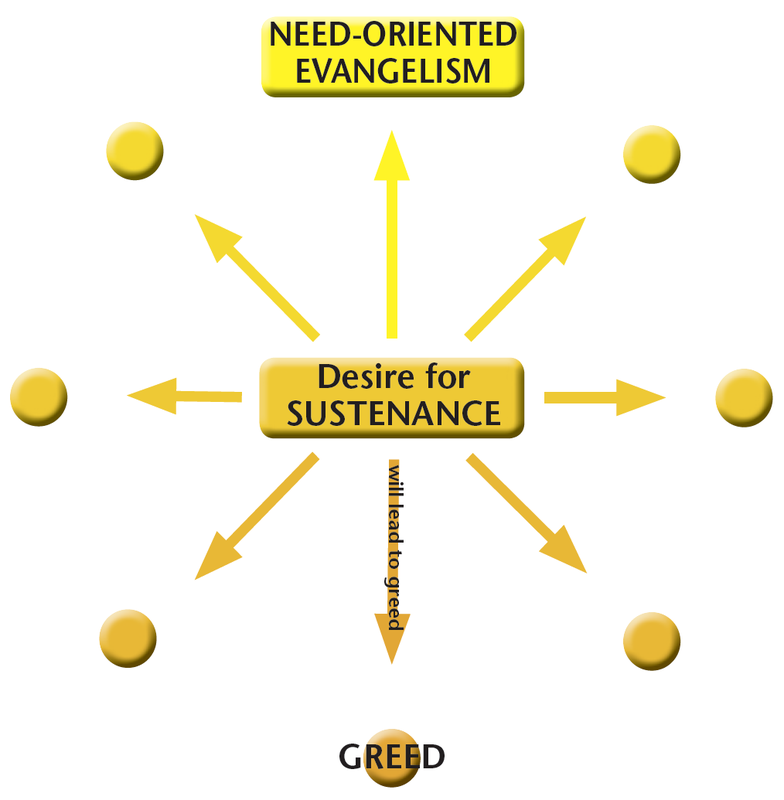 Through need-oriented evangelism, however, this energy can be expressed. We can—and actually, should—receive more and more, as long as we pass on to others what we have received. Why do most Christian books on love focus primarily, if not exclusively, on the “soft dimensions” of love, rather than integrating justice and truth as well? Probably the most important factor contributing to this phenomenon is what we could call the “Hollywood notion of love” (which hardly ever includes the “harder” dimensions of love, such as justice and truth). For many people the influence of Hollywood’s notion of love has been so strong that they project it on the biblical term love. In the end, they are fully convinced that Scripture itself has an exclusively “soft” concept of love, since they infuse every mention of the term “love” in Scripture with a primarily romantic meaning. Why doesn‘t it work to counteract anger by focusing on the opposing virtue, mildness? People who easily get angry simply don’t have ears to hear the message of mildness. If they had developed the sensitivity to hear this message, they would be less likely to get angry. For angry people, the attempt to switch to an attitude of mildness requires enormous energy. Angry people perceive mildness as an “avoidance goal” (“moving away from something”) rather than an “approaching goal” (“moving toward something desirable”). Avoidance goals can work for a limited time in less significant areas of our lives, but they don’t work in the area of deep-reaching attitude or behavioral change. Mildness is a positive trait, but in and of itself, it doesn’t harness the energy behind anger, which is the pursuit of justice. Through the development of loving relationships, however, this energy can be expressed. A natural side-effect of investing in loving relationships is the development of mildness which in no way contradicts the pursuit of justice. Is it realistic to expect of any believer the growth described in this chapter? Why or why not? This definitely should be the goal for every believer. However, we must be realistic in conceding that not everyone will reach this goal. But for leaders, especially, it is essential to reach this level of maturity. The primary task of those leaders, then, is to help others move from the role of a consumer to mature discipleship as well. 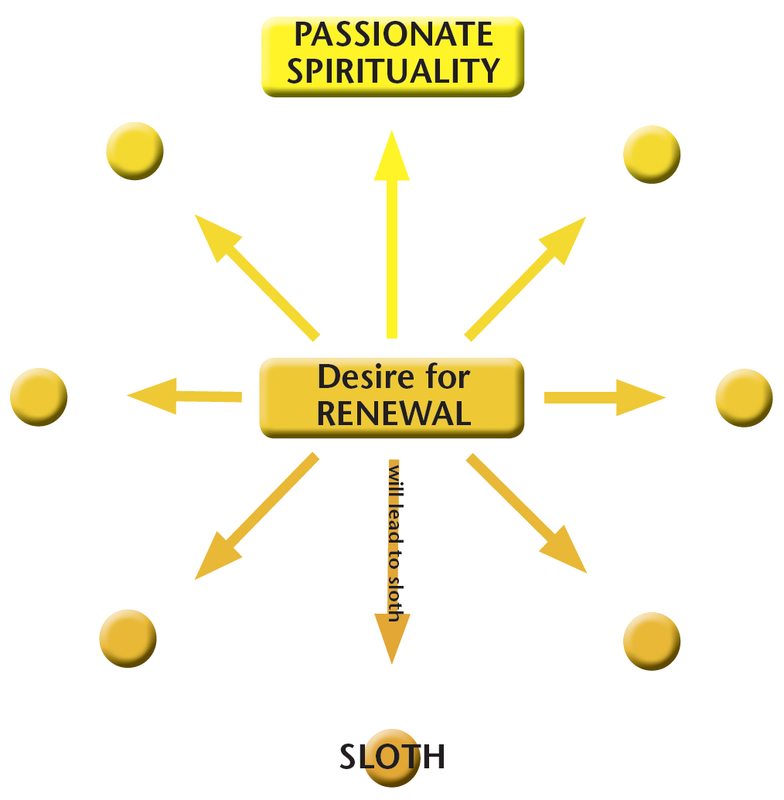 Why doesn‘t it work to counteract sloth by focusing on the opposing virtue, diligence? People who are slothful simply don’t have ears to hear the message of diligence. If they had developed the sensitivity to hear and fully understand this message, they would be less likely to be slothful. For slothful people, the attempt to proactively invest in the development of diligence requires enormous energy. Slothful people perceive diligence as an “avoidance goal” (“moving away from something”) rather than an “approaching goal” (“moving toward something desirable”). Avoidance goals can work for a limited time in less significant areas of our lives, but they don’t work in the area of deep-reaching attitude or behavioral change. Diligence is a positive trait, but in and of itself, it doesn’t harness the energy behind sloth, which is the need for renewal. Through passionate spirituality, however, this energy can be expressed. A natural side-effect of developing a passionate spirituality is the development of more diligence in all areas of one’s life. Shouldn’t we make our worship accessible to seekers? Why or why not? Yes, indeed. This should manifest itself primarily in the authentically warm and welcoming attitude we have toward visitors. It doesn’t necessarily have to affect the way the worship is carried out. Worship is not primarily meant for visitors. Rather, it is the most intimate way for believers to connect with God. All churches need to ensure that they are prepared to wrap seekers up in love, but also allow them to experience what it looks like when a large group of people willingly join together to acknowledge that God is greater than they are. All of us should be willing and prepared to assist visitors in those parts of the worship that may not be accessible to them (yet). Why doesn‘t it work to counteract lust by focusing on the opposing virtue, chastity? People who are lustful simply don’t have ears to hear the message of chastity. If they had developed the sensitivity to hear this message, they would be less likely to be lustful. For lustful people, the attempt to switch to chastity requires enormous energy. Lustful people perceive chastity as an “avoidance goal” (“moving away from something”) rather than an “approaching goal” (“moving toward something desirable”). Avoidance goals can work, for a limited time in less significant areas of our lives but they don’t work in the area of deep-reaching attitude or behavioral change. Chastity is a positive trait, but in and of itself, it doesn’t harness the energy behind lust, which is the need for intimacy. Through inspiring worship, however, this energy can be expressed, both toward God and other believers. 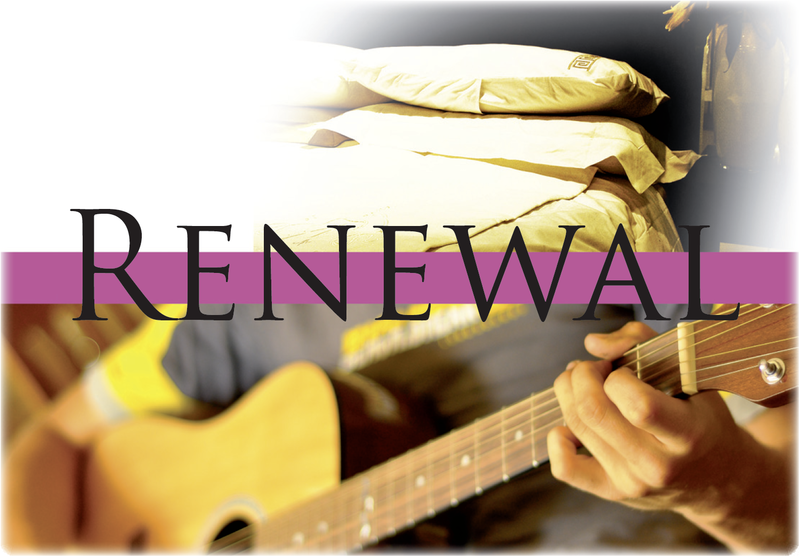 A natural side-effect of inspiring worship experiences is to empower people for chastity. 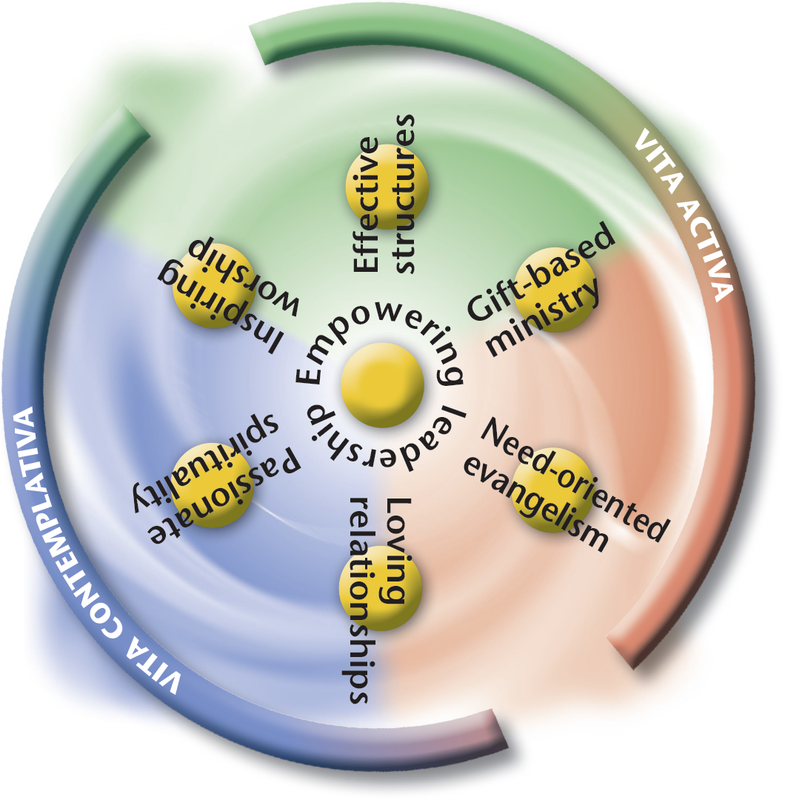 Both from a biblical and a common sense perspective, the principles of Natural Church Development (such as loving relationships, gift-based ministry, empowering leadership, etc.) are non-negotiables. All of us have to apply them, regardless of whether we like them or not. This doesn’t apply to the tools that NCD has developed (such as the NCD Survey, the Empowerment Test, or the Trinitarian Compass). If you see any of these tools as helpful, use them. If not, use other tools, develop your own tools, or work without any tools. This topic is addressed in an online video. 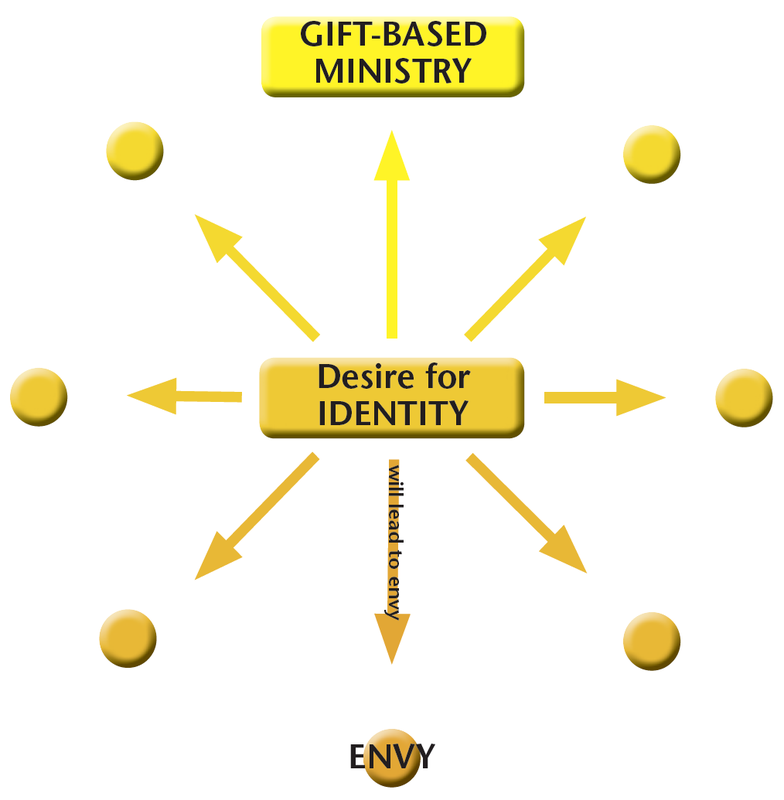 What are some practical suggestions for how people can invest their identified energies at the level of the whole church? Churches that consciously apply the principles of Natural Church Development will be grateful to identify people with high energy in all of the communal qualities. Since the quality characteristics of healthy churches and the communal qualities are almost identical, a side-effect of conducting the Communal Test will be to identify the people who have the energies that are needed for all of the quality characteristics. Investing your energies at the level of the whole church is as important as at the level of a small group. When it comes to finding people to invest in the quality characteristics of healthy churches, those with the highest energies in the respective area should be the first ones to approach. This topic is addressed in an online video. Exposure to light can sometimes be painful. Positive thinking tends to avoid this kind of pain. “Positive” is a rather ambiguous term that can absorb both biblical and non-biblical concerns. In many cases, it is much more important to ask what is right (and what is wrong), rather than what may be perceived as positive (or negative). Some streams of positive thinking tend to ignore the reality of darkness (for instance, areas of darkness within ourselves), rather than perceiving and overcoming them. This can result in suppressing certain aspects of our lives, rather than constructively dealing with them. Scripture speaks of light and darkness, but not about the “colors of light.” Is the Three-Color paradigm biblical? 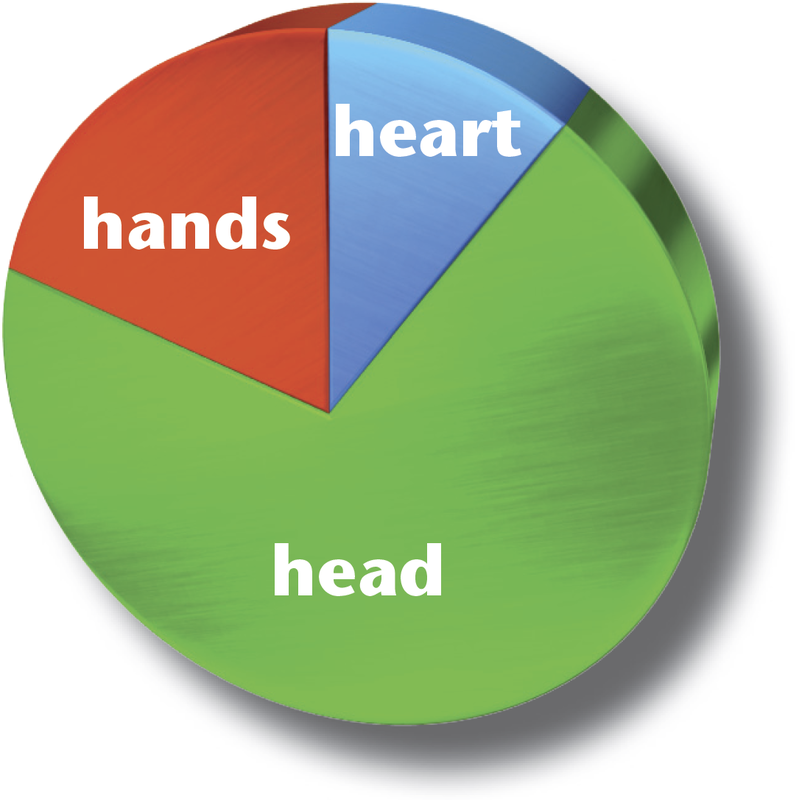 The terminology of the Three-Color paradigm (basically, the use of the terms green, red, and blue) is not to be found in Scripture. 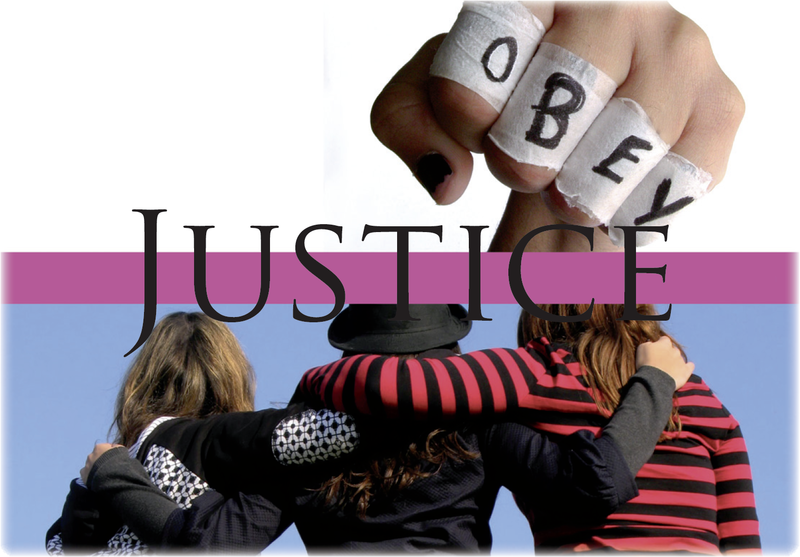 However, the contents that these terms communicate are biblical concerns. In fact, they are central biblical concerns. What exactly do we have to do in order to get a group profile? The Communal Test Group profile will be available September 2013. Are there group types for which it would be inadequate to work on expressing the energies as suggested in this chapter? No, there aren’t. There are certainly group types in which it could be inadequate to work through the book, The 3 Colors of Community, since the group has not been established for such a purpose (for instance, task forces, committees, etc.). But even in those groups all seven energies are present and determine—much more than the participants may perceive—the work and decisions of those groups. To a large extent, they even explain potential conflicts in those groups. A failure to perceive and to harness these energies can have disastrous consequences. 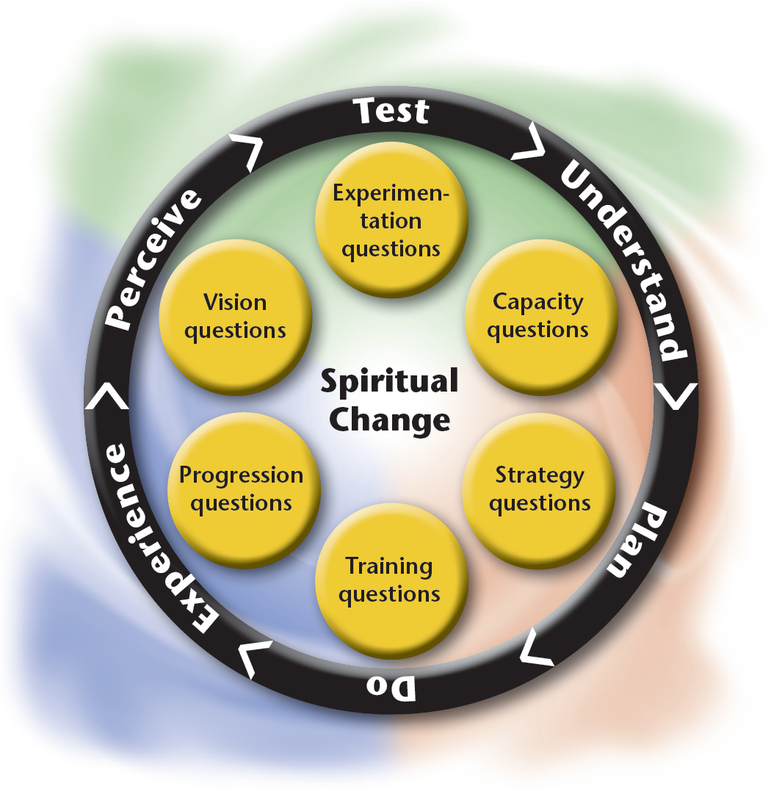 Where can I get training in Spiritual Change Talk? 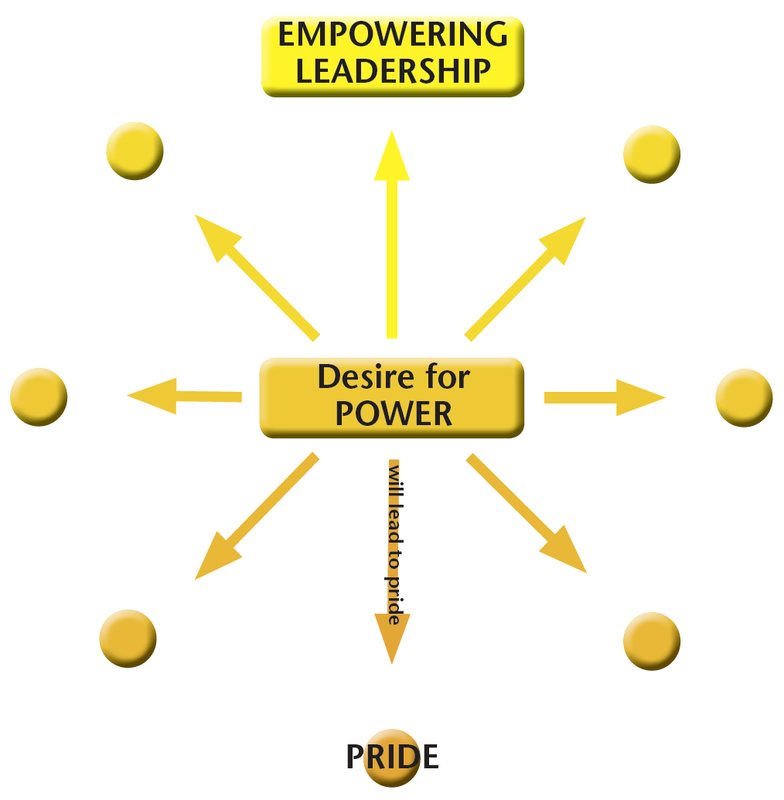 One of the three major parts of the book, The 3 Colors of Leadership, deals exclusively with Spiritual Change Talk. Apart from the “basic level” of Spiritual Change Talk (which consists primarily in asking growth-stimulating questions), in the Change Talk Plus section of each chapter there are introductions to more advanced techniques. For people who would like to go even deeper than that, there is an additional e-book for each of the Change Talk Plus techniques. Click here and then on the 'Spiritual Change Talk' tab on the lower left of the page for more information. 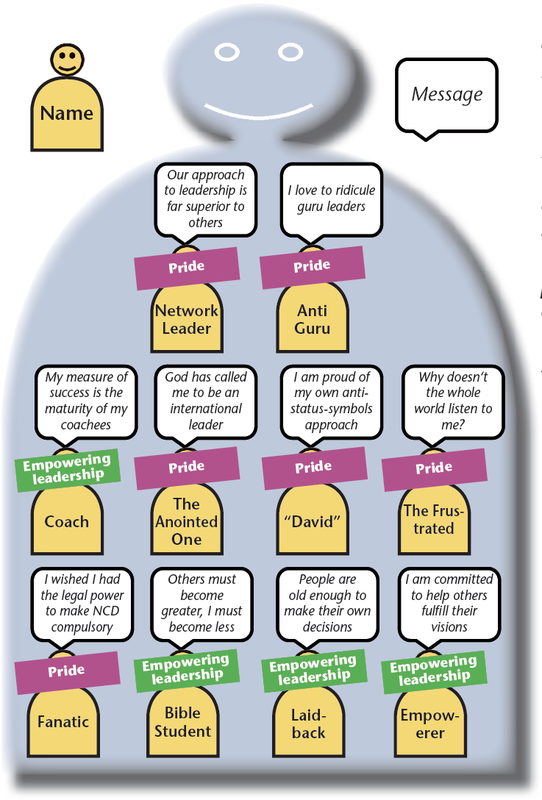 How can I lead a person through an NCD Discipleship Resources book by applying Spiritual Change Talk? 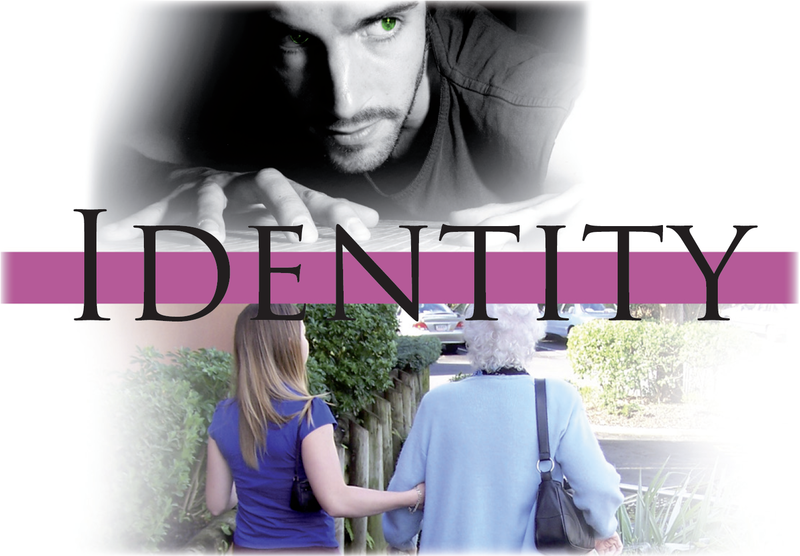 All of the books in the NCD Discipleship Resource series have been developed to be used at the small group level. However, every single book can also be used in a one-to-one (mutual) mentoring relationship, which is just another way of describing a discipleship process. While the books provide the contents you are dealing with, Spiritual Change Talk is the method through which you approach the contents. Applying Spiritual Change Talk guarantees that dealing with the books is not reduced to pure rational learning, but actually results in deep behavioral changes and personal growth. Where can I download a summary of the Inner Team exercise and the form that will help me work through the inner voice analysis? In order to download these papers as PDF files, click here. Within a healthy Inner Team there may be tensions between the individual team members, but all of them co-operate constructively. The weaker this co-operation is, the stronger the danger of moving toward a “multiple personality.” Once an extreme point of disintegration has been reached, different team members act as if they were completely independent personalities with no relationship to the others. What is the difference between an “inner voice” and a potential “demon”? Those that are already in line with the path of community. Those that communicate ambivalent and even wrong messages which need to be corrected, while their underlying concerns must be heard and integrated. Those that aren’t really a part of yourself, but something that you have taken over from other sources (or that have come into you) from the outside. 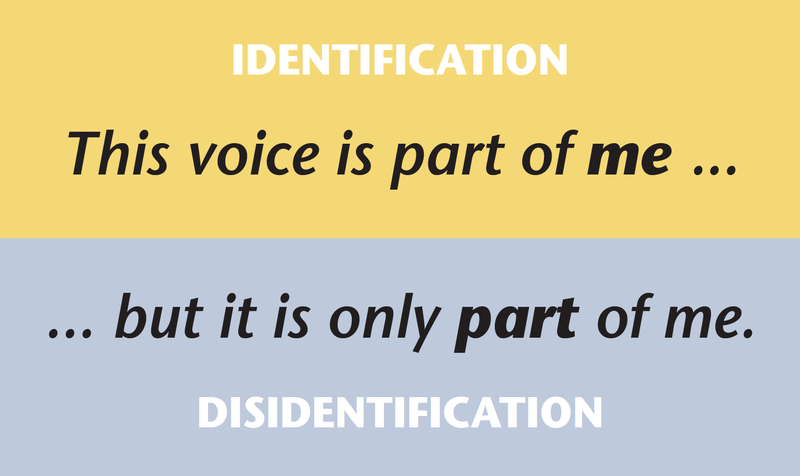 Are there interests behind certain inner voices that shouldn‘t be integrated? Yes, sometimes there are. You may detect self-destructive motives (i.e. motives that may not necessarily be self-destructive for the individual team member, but for the team as a whole). Of course, these motives should not be integrated. 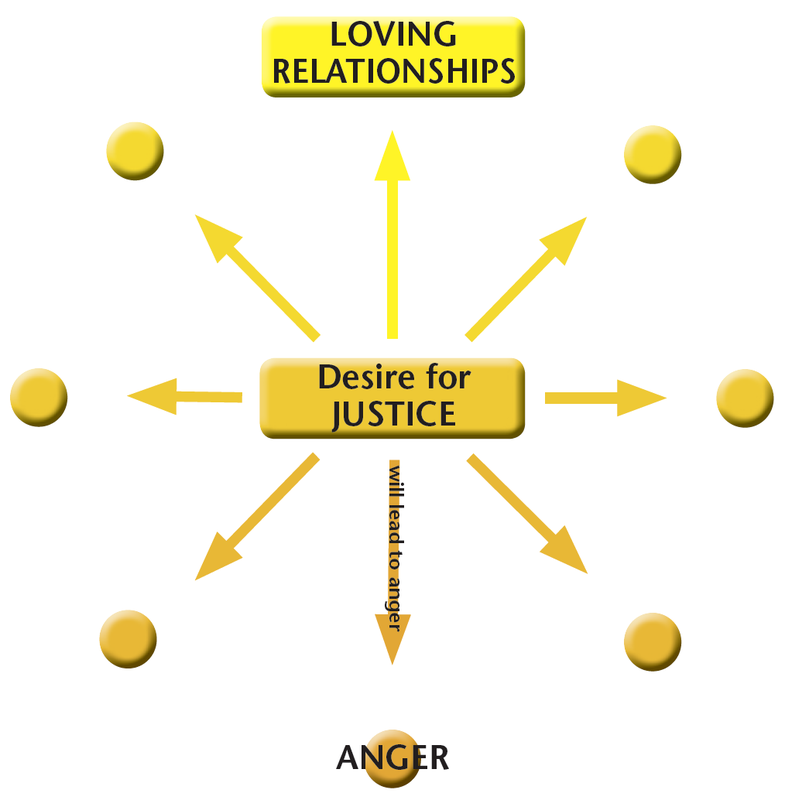 However, keep in mind that even the majority of the “sinful voices” are driven by justifiable concerns—the seven energies. You should take great care to integrate the need to express these energies through the corresponding communal qualities, rather than try to simply “expel” those voices or command them to be quiet. In what case would it be justifiable for the team leader to flatly reject one of the players if he or she is convinced that this specific voice wouldn‘t lead the team anywhere? 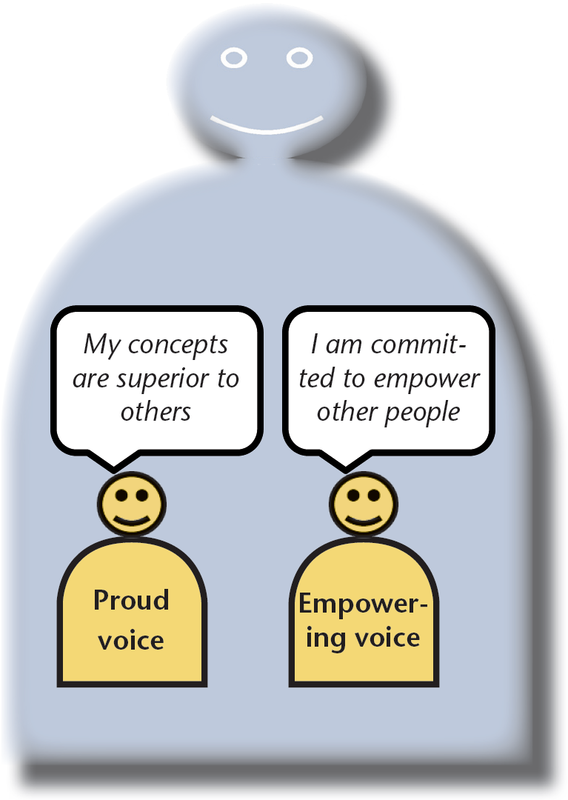 The first step is always to take great care in asking for the underlying concerns of the respective voice. If you find out that even this concern is a destructive one (which is more seldom the case than most of us would believe), you may decide to reject this voice. Does an “integrated decision” imply the end of the struggles between the players? Definitely not. Just as for any real team, tensions and struggles between the individual team members are normal and healthy. The task of the team leader is to moderate these struggles in a constructive way, and not to hope for them to stop. This kind of inner struggle is one of the most important sources of human creativity. What discounts are available in my country for purchasing large quantities of The 3 Colors of Community? Click on the 'Get the book' tab to the left for more information. How can I get the leadership training provided in The 3 Colors of Leadership in my country? The 3 Colors of Leadership has just been launched. In the future, we expect many groups to provide formal and informal training of this kind. However, there is no need to wait for other to provide these offers. If you are interested in receiving effective training in empowering leadership, start a group with other people who are also interested in leadership training. This kind of interactive mutual learning is an excellent way to learn in all areas—and especially in leadership. What are the most important things to keep in mind for attracting non-Christians? Bluntly said, by far the most important factor is to be winsome yourself. This includes the ability to be transparent, vulnerable, and ready both to give and to receive. Non-Christians usually have a strong sense of whether a group has programmatically planned to attract others or whether it radiates a genuine attractiveness, naturally flowing out of the lives of the members. If our church doesn’t have a small group ministry that is targeted on multiplication, how do you recommend we get started? Don’t start with talking about plans for multiplying groups. That is the fruit. Start by developing more empowering leaders. That is the root. 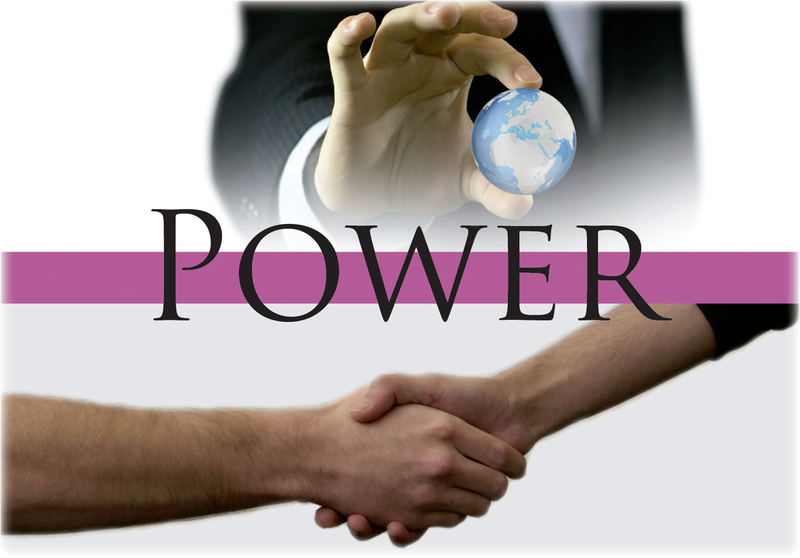 You may start with one or two apprentice leaders, and once you have empowered them, they empower others. The 3 Colors of Leadership shows you how to start and follow through with these processes. 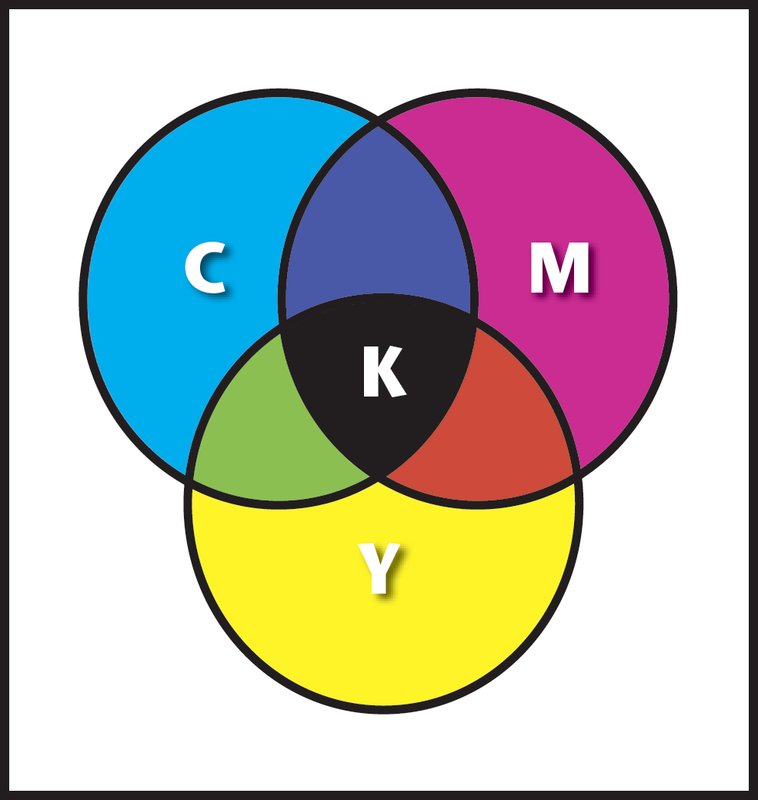 Click here to download a fully animated PowerPoint presentation containing all of the key diagrams from The 3 Colors of Community. 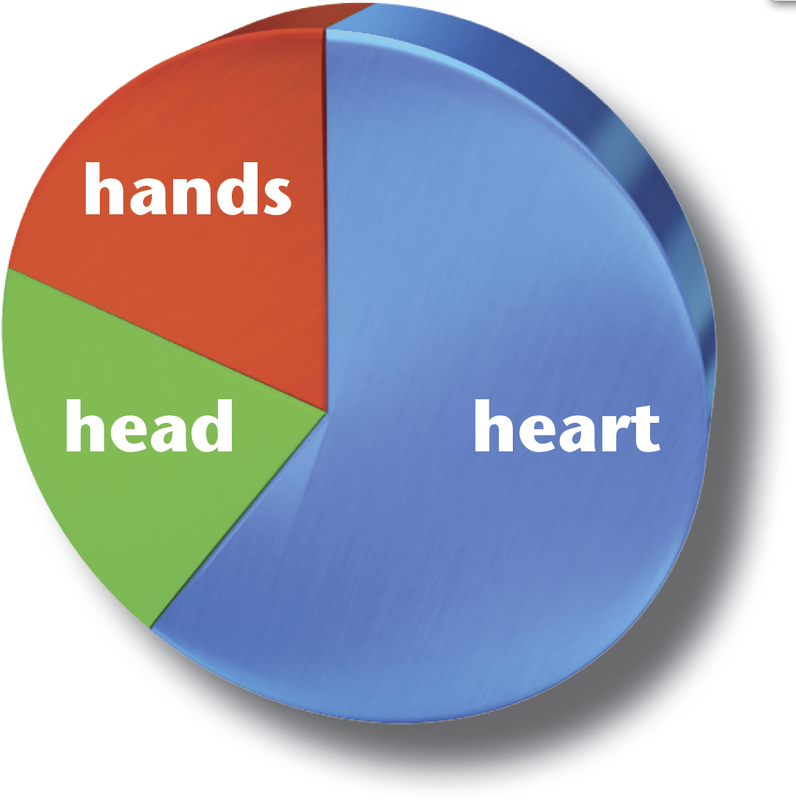 This tool is ideal for anyone wanting to present the teaching to a group of people. It contains references pointing you to the relevant book pages to assist you in your preparation. Below you will also find downloadable book images from The 3 Colors of Community. To find an image you would like to use, refer to the relevant page number from the book and look for the file below. For example, if you would like the image on page 5 of the book, you are looking for the file "3cocom-p5.png".